East African Voyage offers an exceptional product for small groups or individuals wanting to climb Kilimanjaro. 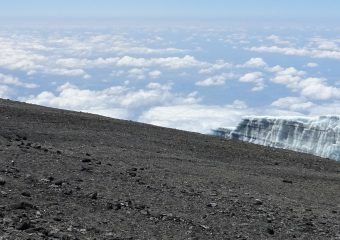 This package includes transport and accomodation before and after the ascent to Kilimanjaro. East African Voyage has extensive expertise in Kilimanjaro and is a partner of IMEC and KPAP, two organizations that ensure exceptional service. All our climbs are supervised by KPAP (kilimanjaro Poters Association Project). East African Voyage is one of the best companies that provide fair treatment for porters. All our climbs are guaranteed, so a registration is enough to guarantee the climb. The maximum number of people in each group is 12 people. It is therefore small groups facilitating the customization of the service. If desired, the group can be provided with a French speaking guide in the ascent, at no additional cost. East African Voyage offers an exceptional product for small groups or individuals wishing to climb Kilimanjaro. This package includes transfer and accommodation before and after the ascent of Kilimanjaro. East African Voyage has extensive expertise in Kilimanjaro and is a partner of IMEC and KPAP, two organizations that ensure proper carrier treatment. All our ascents are supervised by KPAP. East African Voyage is one of the best companies that ensure the fair treatment of carriers. We are partners with Travel Life (http://www.travelife.org). This confirms our commitment to eco-responsible tourism. All Kilimanjaro climbs are Carbon Neutral and we support the Tanzania Carbon Initiative throughout our climbs. This is a 7-day group mountaineering to the summit of Kilimanjaro. The Machame route, also known as “the Whiskey Way”, is one of the most beautiful routes to climb Kilimanjaro, especially because of the diversity of its landscape. 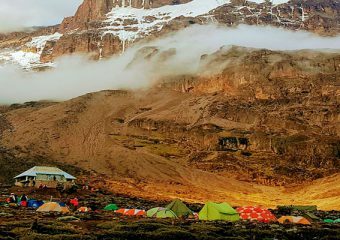 While on the Machame route, you will journey through thick forests, groundsel trees, volcanic canyons and on the last days through seracs and ice glaciers. Enjoy the view along the way. Discover the magical landscape during your ascent to Kilimanjaro on the Lemosho route. The spectacular hike through the Shira Plateau is what makes this route truly special. 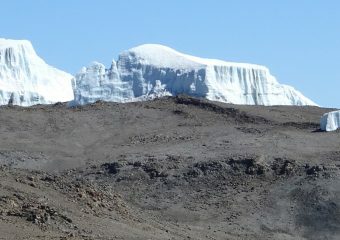 The Lemosho route is the least traveled but most scenic route towards the peak of Kilimanjaro. An ascent via the Lemosho route takes longer than through the Machame route because climbers need to be better acclimatization in this route and, thus, have a better chance to reach the summit! 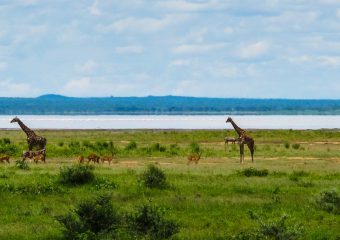 Eager to explore more of Tanzania’s wonders? Add a 3-day group safari to your Kilimanjaro ascent. This is an opportunity to discover 3 parks in 3 days: Ngorongoro National Park, Tarangire National Park and Lake Manyara National Park.